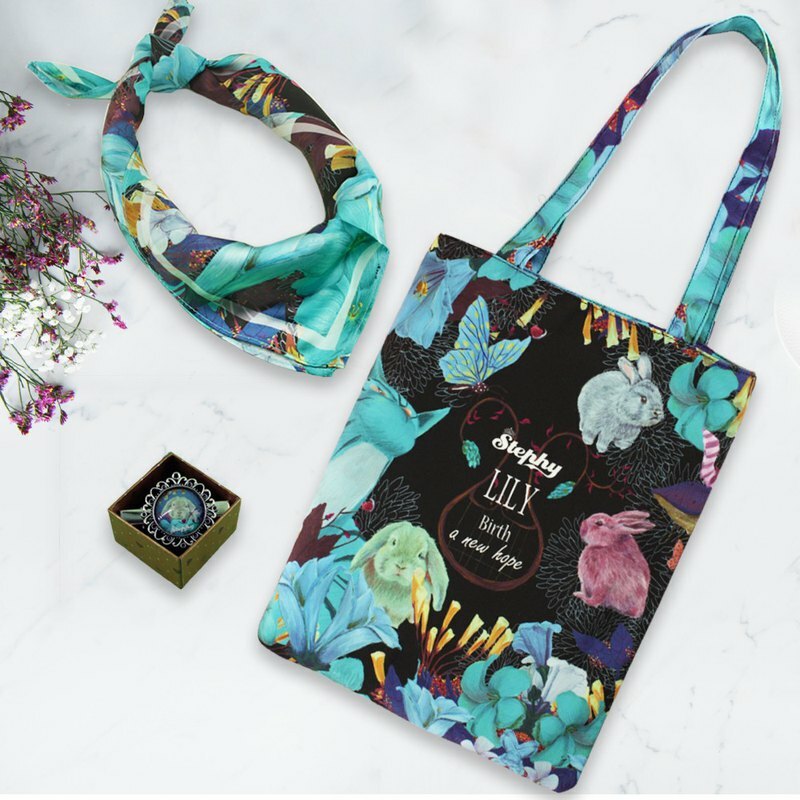 **Stephy Forest Moe Rabbit Series Canvas Bag and Scarf Set Lucky Bag**, including the following products: ◆ A canvas bag, size: 32*40*3CM ◆A silk scarf, the size is: 54X54CM ◆A silk scarf buckle, the size is: 5.6X2X2CM https://img.alicdn.com/imgextra/i4/407452631/O1CN011VJ2VKOXRlO4jhK_! !407452631.jpg Origin / manufacturing methods Hong Kong original design, professional production Design Hall Operation Hours 9:30 -18:30 We will also check the message from time to time on Saturday and Sunday, as soon as we see it, we will reply immediately! If you do not reply in time, please be more tolerant!